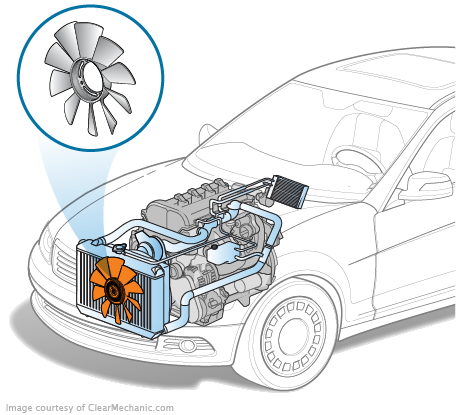 The engine cooling fan provides additional air flow through the radiator to aid in reducing the temperature of hot coolant as it flows through the cooling system. The fans are commanded on and off by the engine’s processor. Pulley driven cooling fans utilize temperature-sensitive "couplings" to speed at startup in order to provide more fan engagement as the temperature increases. Trying to remove rad. how does fan come of to remove fan shroud to remove rad.